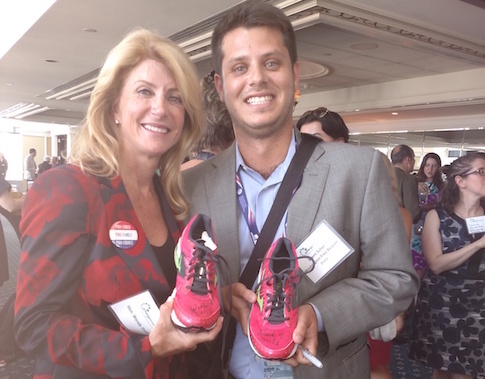 PHILADELPHIA—The first and only event I signed up to cover ahead of time during this week's Democratic National Convention was a fundraiser headlined by Texas Democrat Wendy Davis. In the spirit of serious journalism, I hoped that I could show off the $120 pair of pink Mizunos that I flew across the country to purchase from her house in April. I arrived at the "women in politics" event, held in a private club located on the 52nd floor of one of Philadelphia's tallest buildings, at about 4:30 p.m., well in time for the VIP reception. I saw Davis, who was wearing a black and red printed pantsuit and seemed to be making herself available to anybody in the room who wanted to chat. I decided to grab a glass of wine before approaching her. Asking about her estate sale, where she sold a wide range of personal belongings ranging from jewelry to lingerie, was likely to make for uncomfortable conversation. Finding courage at the bottom of the glass, I approached Davis, and found her to be completely delightful. In my excitement I neglected to mention that I was a reporter, but I was wearing a name tag that labeled me as a member of the press with the Washington Free Beacon. "So I actually went out to Texas earlier this year to your estate sale because I really wanted your shoes," I said, as I presented Davis with her footwear. "Oh, get out! You bought these at my estate sale?" said a beaming Davis. "That's hysterical." I was glad she found the situation funny, and wondered whether she had any idea who I was or why I bought her shoes. "Did you travel for that purpose or were you already there?" Davis asked, making clear that she didn't read about my experience at her estate sale and forcing me to admit that I flew from D.C. to Fort Worth for the sole purpose of attending the estate sale. "You did not!" she exclaimed in a friendly Texas-fashion, even though I clearly did make the trip. I needed Davis to sign the shoes, but a Sharpie is not something that usually finds its way into my work bag. Luckily I have been hopping around convention events for the past two weeks and one of the perks is a bunch of free stuff. One of my recently acquired items came in a satchel of anti-Hillary Clinton items distributed by the Republican National Committee: a Sharpie labeled the "HRC Redaction Pen." Davis, a vocal Hillary Clinton supporter, didn't notice that it was an anti-Hillary prop—thankfully—and we were able to carry on with our pleasant conversation. 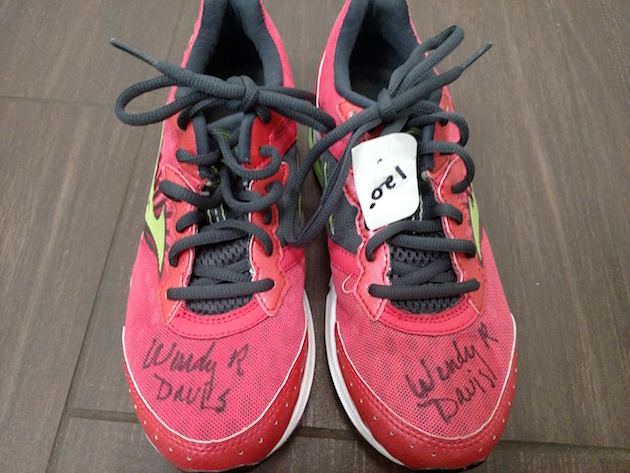 I presented Davis with the HRC Redaction Pen and one of the shoes to sign. After throwing her John Hancock on the first shoe, she insisted on throwing it on the other one as well. I told her the shoes are far too small for my feet, which prompted her to consider putting them back on herself. "I kind of want to put them on right now, to be perfectly honest with you," said Davis. I said I would allow it, but she kept her heels on. Davis happily cooperated as I asked some nice ladies who were waiting to introduce themselves to Davis to snap a picture—this was all too important to resort to selfies. The ladies handed me my phone back and the only thought running through my head was "mission accomplished." Then I checked my phone and noticed that the nice ladies had been confused by my camera-phone. Luckily for me, the Washington Examiner's Ashe Schow was circling in on Davis at the time and offered to take the picture for me. 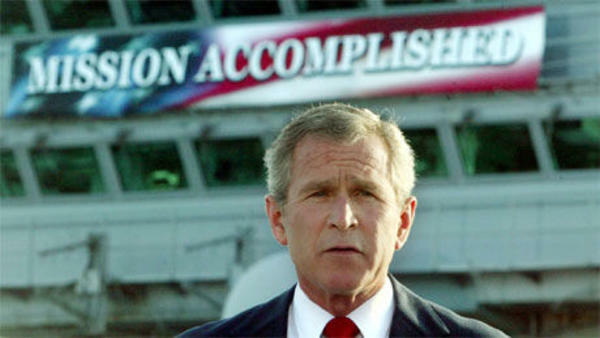 My mission was now truly accomplished, but I stuck around the event space for the next couple of hours chumming it up with the pleasant group of Democratic women as Davis and others spoke to the crowd. At one point I wound up waiting at the bar next to one of the ladies who valiantly attempted to use my phone earlier. She caught me admiring the picture, which she thought she took, and asked me if I would show it to her as I waited for my next glass of Pinot Grigio. Her verdict: I looked great, but it "wasn't a flattering angle for Wendy." Personally, I think Wendy looked great too. When I left the building, Davis was outside, presumably waiting for a car. "Thanks again, Wendy," I said as I walked by. "So nice to see you, Brent," she responded. Maybe she will start reading my work. This entry was posted in Politics and tagged 2016 Election, DNC, Feature, Hillary Clinton, Wendy Davis. Bookmark the permalink.